Dr. Ernest Amory Codman told his wife before he died in 1940 not to spend money on a headstone. Dr. Andrew Warshaw spent the last two years raising $20,000 from medical organizations for a granite and bronze memorial that will be dedicated Tuesday. Dr. Ernest Amory Codman was in his mid-40s when his golden career as a sought-after Harvard surgeon began to unravel. He had quit in exasperation from Massachusetts General Hospital, and when he took his dispute with hospital leaders public, colleagues turned against him. Many stopped sending him patients. It was the early 1900s, and Codman was impatiently pushing hospitals and doctors to adopt a practice many considered heretical at the time: Record the “end results’’ for every patient — including harm caused by physicians’ errors — and make them public. A century later, many of Codman’s ideas are the bedrock of modern medicine. And a group of doctors, including a former Mass. General surgery chief, plans to make sure he gets the wider appreciation he deserves this week. 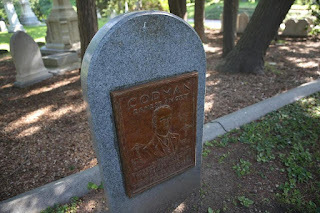 Codman’s ashes are buried in his wife’s family plot in Mount Auburn Cemetery in Cambridge, with no personal marker. Dr. Andrew Warshaw, the hospital’s chief of surgery from 1997 to 2011, has spent the last two years raising $20,000 from medical organizations for a granite and bronze memorial that will be dedicated Tuesday. Even after Mass. General began tracking some outcomes, making that information public was anathema. “The general executive committee does not consider it advisable,’’ Dr. Joseph Howland, the hospital’s assistant administrator, cryptically wrote Codman in April 1914. Codman himself lived his beliefs with excruciating honesty. “I made an error of skill of the most gross character and even failed to recognize that I had made it,’’ he wrote in a published report after a woman died following a gallbladder operation in 1917. These days, there is little escaping Codman’s notions, as everyone from patient safety groups to President Obama pushes for measurable quality and transparency in medical care. Codman’s close examination of patient cases led to weekly meetings now held at Mass. General and many other hospitals called “morbidity and mortality’’ conferences, and his insistence on “hospital standards’’ eventually prompted the formation in 1951 of the Joint Commission, a national organization that evaluates hospitals. “He deserves to be much better recognized,’’ said Dr. William Mallon, a shoulder surgeon who wrote a comprehensive biography of Codman that was published in 1999. But it was not until another Harvard physician, Dr. Lucian Leape, started publishing studies on the frequency of medical errors in the 1990s that the profession and government began to intently examine the issue. And it has been only in the past 10 years that regulators, patient safety experts, and some doctors have advocated for making outcomes and errors public, as a way to further encourage improvement. As Mallon pointed out, however, few physicians are as open as Codman about their mistakes, in part because of the threat of lawsuits, and mortality and morbidity conferences remain highly confidential. Dr. Lamar McGinnis, a cancer surgeon from Georgia who has researched Codman’s career, said it was not only his ideas, but his abrasive personality that hurt him professionally. “He was really stepping on toes,” McGinnis said. Frustrated with Mass. General’s refusal to fully embrace his ideas, Codman left his full-time job there in 1911 to start his own 12-bed hospital in a Beacon Hill brownstone. He required his doctors to report their results and he tracked his own patients on hundreds of 3 x 5 cards. He advertised the “Medical Ethics of the Codman Hospital’’ — a mission statement of sorts that stated “large fees are only justifiable’’ when a surgeon’s skills have been proven. Codman continued to pursue changes at Mass. General, and while the hospital began to track patient outcomes, it stopped short of investigating the reasons for poor results, according to letters Codman wrote to hospital administrators. He warned that his ideas were gaining traction in Philadelphia, threatening Mass. General’s position as a national leader. “It is really easier to overturn a whole city than it is to wake up the trustees of Massachusetts General Hospital,’’ he said in a letter in March 1914, the month he cut ties completely with the hospital to protest the seniority system. Codman urged Mass. General to “do some house-cleaning’’ and stop promoting doctors because of their reputations instead of advancing those with good results. Codman’s surgical career took a dive in January 1915, when he organized a meeting on hospital standards as chairman of the Suffolk District Surgical Society. Before dozens of colleagues, Codman unveiled a cartoon he had asked a friend to draw. The audience was aghast, Codman later wrote. He was told to resign as chairman of the group, and as referrals plummeted that year, so did his income — to $5,000 from $8,000 the prior year. 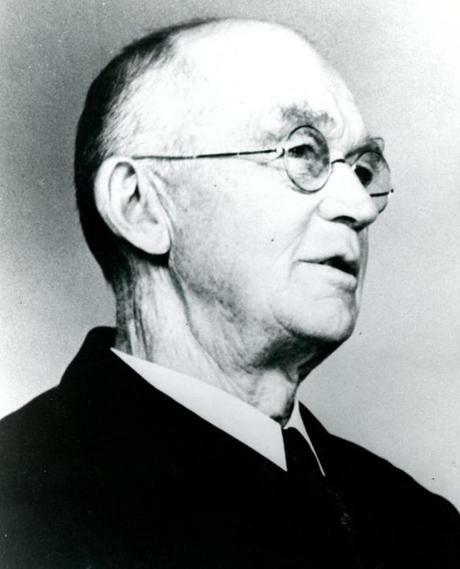 He closed his hospital to help treat the injured after two army munitions ships collided and exploded in Halifax, Nova Scotia, in December 1917. Dr. Ernest Amory Codman shocked colleagues with a cartoon critical of Back Bay doctors. Still, Codman was hard to ignore back in Boston. He became an expert in shoulder surgery and bone sarcoma, and Mass. General reinstated him as a consultant in 1929. By the time he died in 1940 at his home in Ponkapoag, now Canton, the wounds appeared healed. Codman never recovered financially after his surgery practice dwindled, according to his biographer, and he told his wife before he died of melanoma in 1940 not to spend money on a headstone. The memorial project took far longer than Warshaw expected. Codman and his wife, Katherine Putnam Bowditch, did not have children, and doctors were unable to find a relative to give permission for the headstone. So Warshaw contacted Mount Auburn, which began researching the expansive cemetery plot, purchased by the prominent Bowditch family in 1845. Nathaniel Bowditch, Katherine’s great-grandfather and a ship’s captain from Salem, was a pioneer of modern maritime navigation. Mount Auburn determined that it controlled a portion of the plot, and gave Warshaw permission to move forward with a memorial. Warshaw, who will become president of the American College of Surgeons in October, plans to make Codman’s accomplishments the theme of his opening speech in San Francisco. A small private ceremony will be held at his gravesite on Tuesday. The memorial, which describes Codman as the “father of outcomes assessment and quality measurement in health care,’’ sits under a shady stand of eight Canadian hemlocks, just behind Nathaniel Bowditch’s grave.